They say 'you can lead a camel to water but you can’t make him drink'. 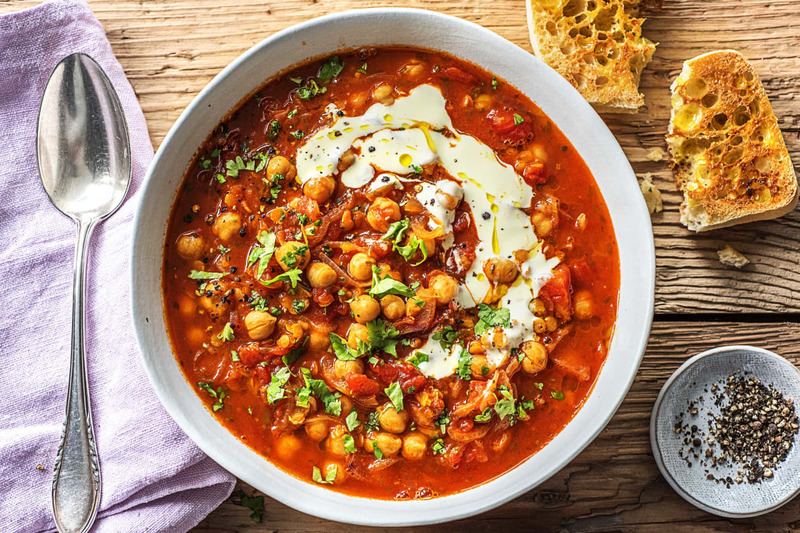 We’re pretty sure if you led him to this steaming bowl of Moroccan soup, you wouldn’t have a problem! This recipe is inspired by Head Chef Patrick’s recent trip to the Atlas Mountains where he spent time with the nomadic Berbers. Halve, peel and thinly slice the red onion into half moons. 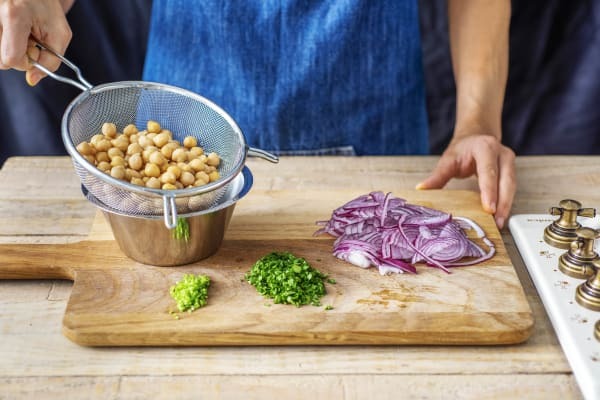 Drain and rinse the chickpeas in a sieve. Pick the coriander leaves from their stalks and roughly chop both (keep them separate). Heat a splash of oil in a large saucepan on medium-low heat and add the ground cumin, ras-el-hanout and smoked paprika. After 1 minute, add the onion and cook until soft, 5 mins. Add the coriander stalks and cook for 1 minute more. Season with salt. 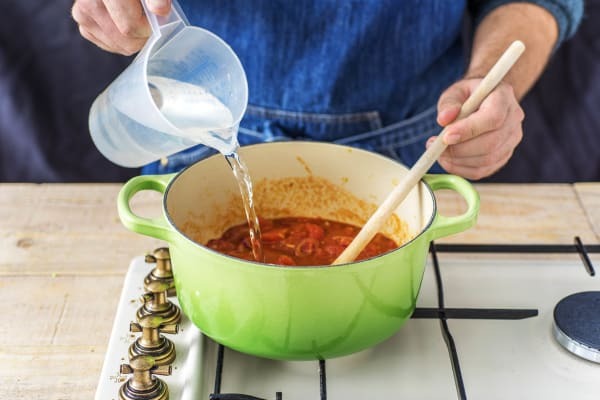 Add the diced tomatoes, tomato purée and water (amount specified in the ingredient list) together with the vegetable stock pot. Stir to dissolve the stock pot and bring the mixture to the boil. 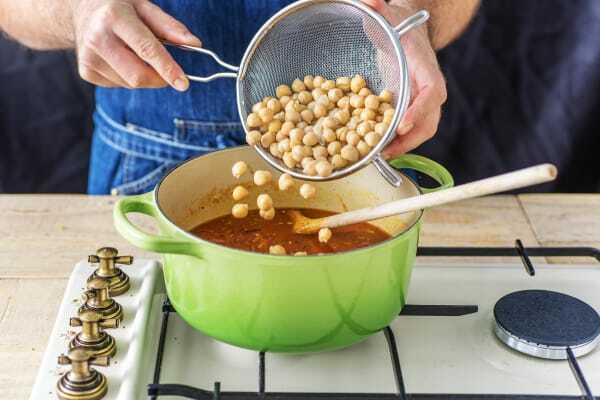 Add the chickpeas to the soup, then rinse the red lentils thoroughly in your sieve under running water for 1 minute and add them too. Simmer for 10 mins. Add half the coriander leaves and cook for another 10 mins or until the lentils are soft. TIP: If the lentils need a little longer to cook, that's fine! Once the soup has thickened, taste for seasoning and add more salt if necessary. TIP: Patrick adds a bit of Tabasco to his to spice things up! Meanwhile, preheat your grill to high. 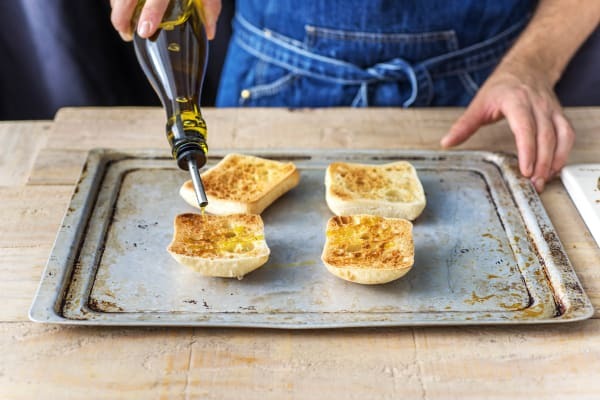 Cut the ciabatta in half, pop on a baking tray and toast on each side under your grill. Drizzle over a little olive oil and a pinch of salt. 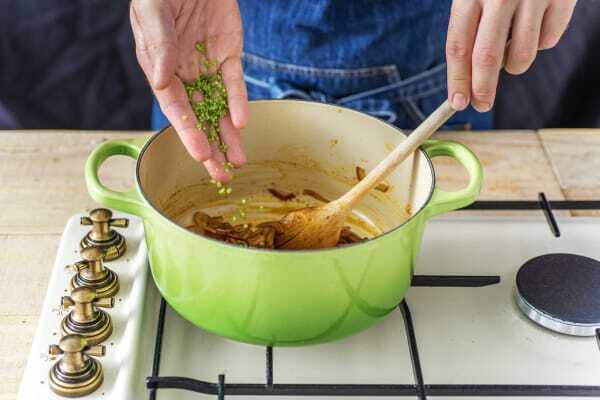 Serve the spiced Moroccan soup in bowls with the remaining coriander leaves sprinkled over. 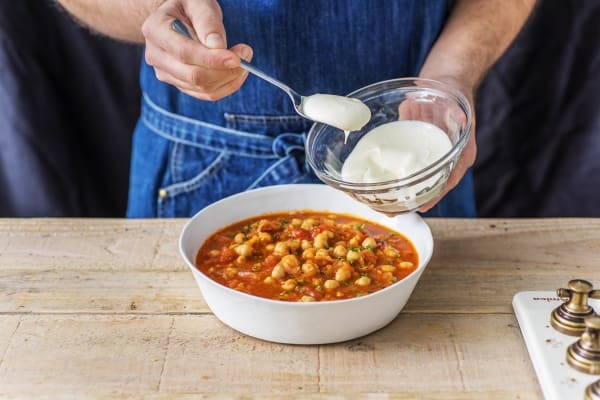 Dollop on some Greek yoghurt and serve with the ciabatta on the side. Enjoy!